Hida Viloria | LA Times Festival of Books Sat April 22nd! LA Times Festival of Books Sat April 22nd! 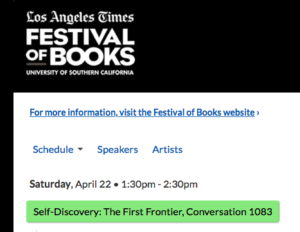 Very excited and honored to participate in the panel Self Discovery: The First Frontier, at the LA Times Festival of Books this Saturday! See full schedule here.